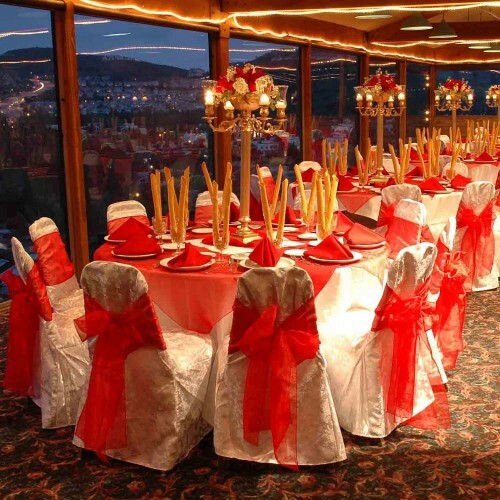 Wedding ceremonies, receptions, rehearsal dinners, corporate luncheons or dinners, award functions, holiday or birthday parties…With two banquet rooms hosting both large parties and private ceremonies, Orange County Mining Company offers the flexibility in event space to help you plan an incredible event. The panorama view, day or night, is an unmatched backdrop for any special occasion. 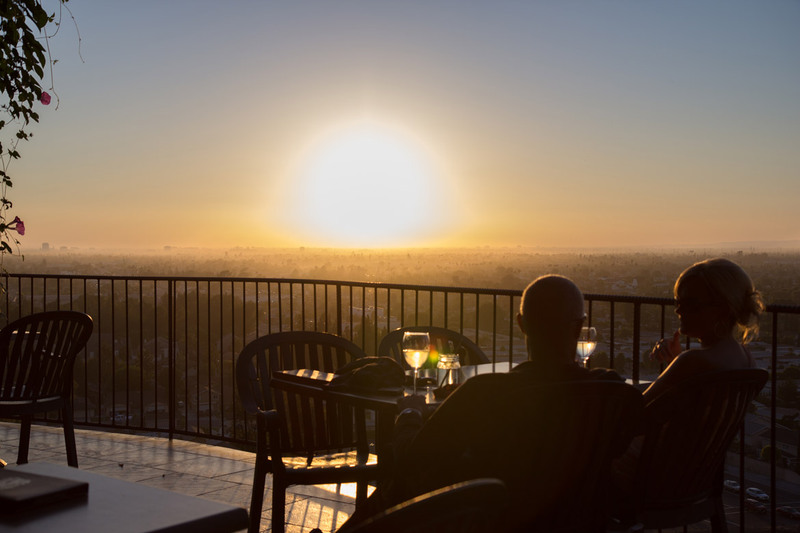 For over 40 years guests have enjoyed our scenic hillside location overlooking Orange County. Sunsets are especially vibrant all year round and as the light fades away the view lights up with the twinkles of city lights below. 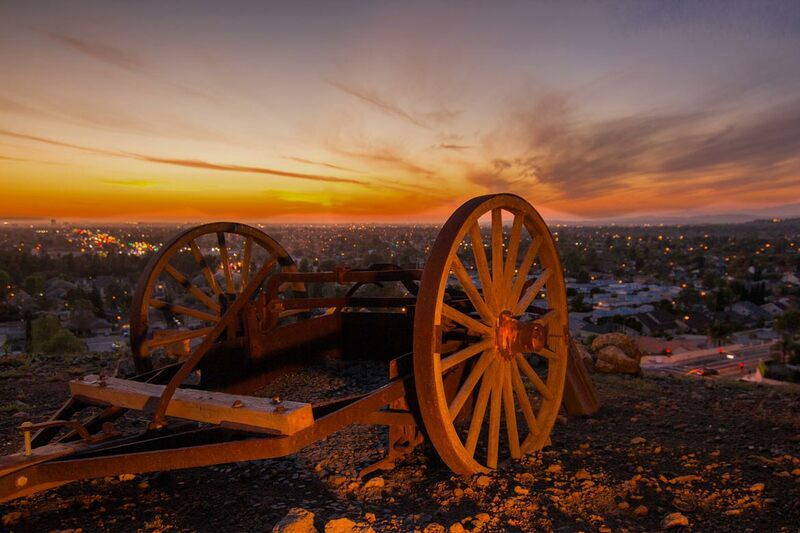 Orange County Mining Company offers a memorable location with an unmatched backdrop that your guests will remember long after your event has ended. 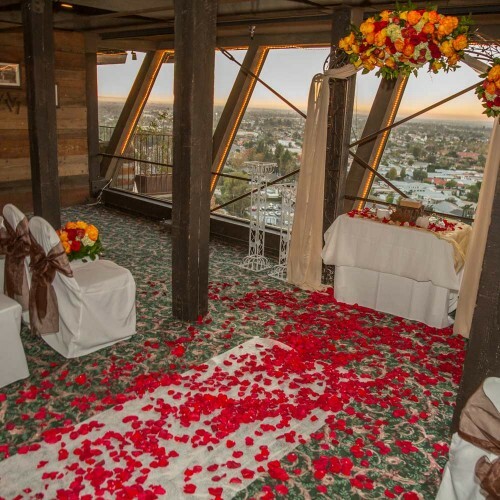 Orange County Mining Company features a downstairs Angel’s Camp room ideal for a wedding ceremony and the upstairs Silverado room for a large reception. With plenty of parking, you and your wedding party can enjoy the day without the stress of traveling between ceremony and reception sites during a busy evening. 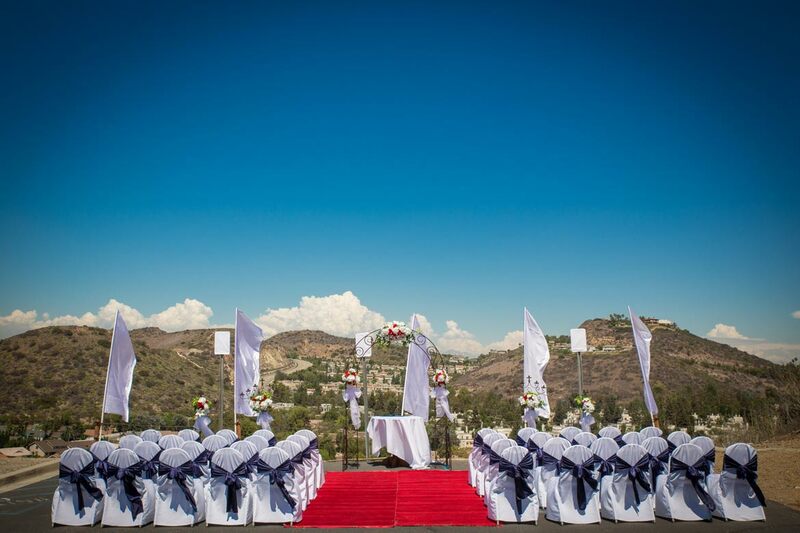 Exchange vows under the big blue sky overlooking the foothills of Orange. 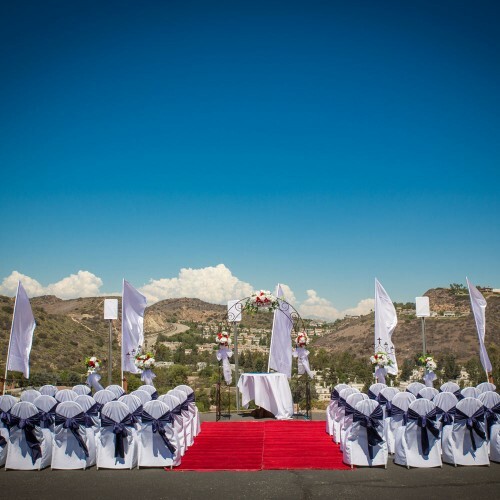 With a beautiful display and choice of linen colors to accessorize your ceremony, this daytime or evening setup is a new option at the Orange County Mining Company. 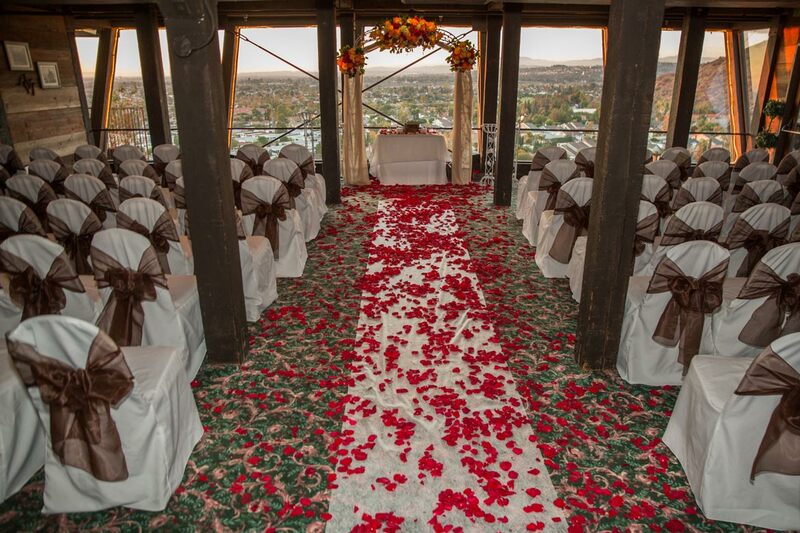 With this outdoor ceremony, the bride can utilize the scenic Angel’s Camp room as a bridal room and host the reception just inside the Silverado room upstairs. When hosting an event at Orange County Mining Company, guests have the option of utilizing our spacious bar, lounge and patio overlooking Orange County. The bar & lounge are located right next to the downstairs Angel’s Camp room. This serves as an ideal pre-event and gathering location for your function, especially in the event of a wedding ceremony or reception. Orange County Mining Co. blends the old Western rustic look with the simplicity of a clean, modern facility. The aged wood walls of the facility give a unique sense of mining, while the modern carpeting and interior painting create the modern look you expect. 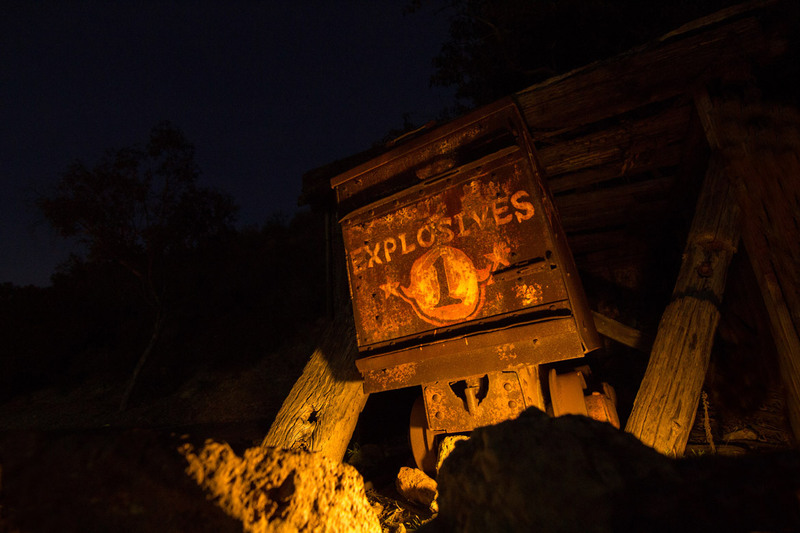 The authentic artifacts gathered from around the Midwestern United States add a special unique flair that makes the Mining Company so unique.